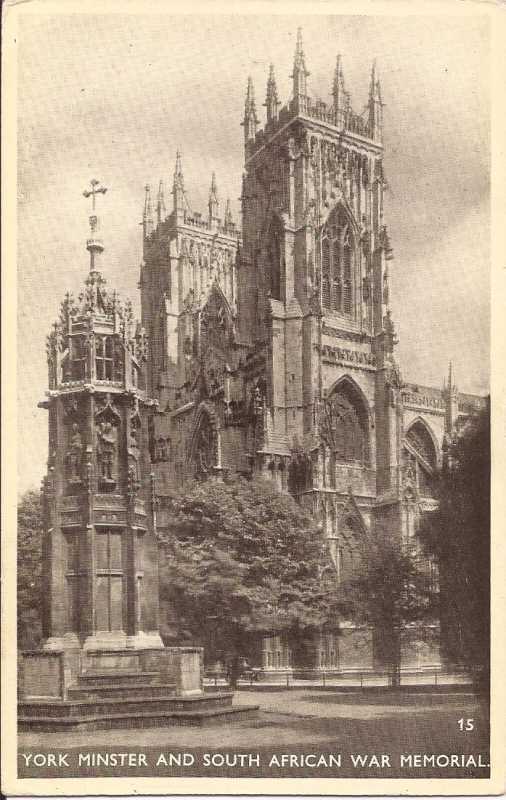 Another postcard found, this must have been an important memorial at the time. The end of ABW and the creation of the many memorials coincided with the postcard boom which was always interested in topical subjects - like new war memorials. My friend in York has been unwell and not able to check if the wooden model of the Yorkshire Memorial is still in Treasurer's House. Yes thats a good point you make. Thanks for remembering about the wooden model and I wish your friend a speedy recovery. 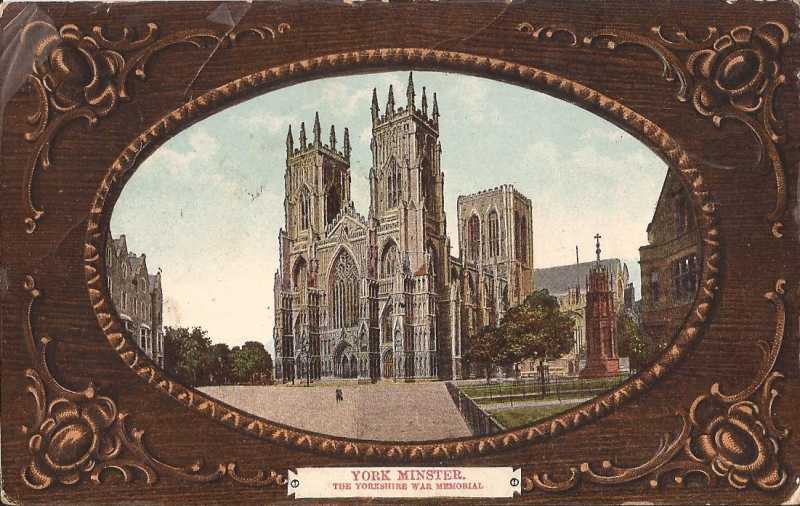 Another postcard of the York memorial,this ne mainly features the Minster the memorial is in the right hand corner. Yes, I recently introduced to The Register a Research Centre , one of the free queries is to list names by memorial. Click here for the Yorkshire County memorial .